"Factors that would preclude a coin from receiving the QA✓ sticker include carbon spots, unattractive toning, fingerprints, below average strike for the coin type, and similar issues." 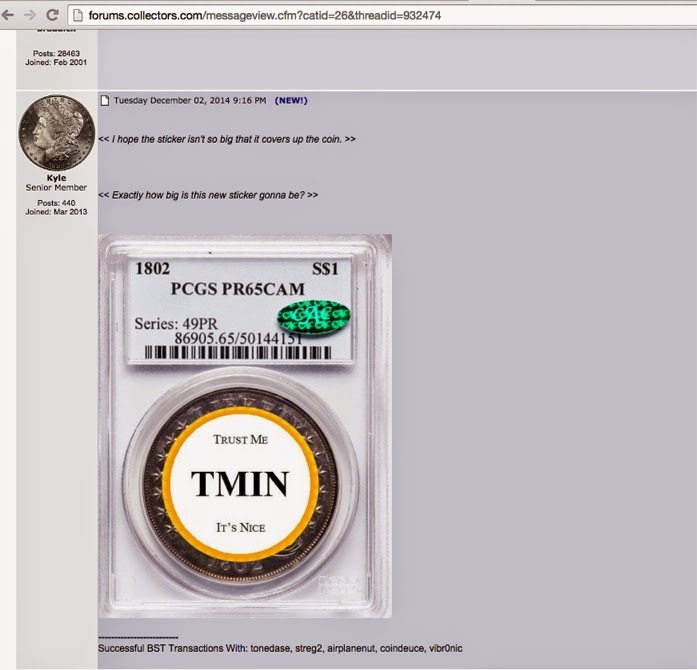 "You can be assured that all PQ Approved coins are free of any major copper or carbon spots!" Notice "carbon spots" in both. 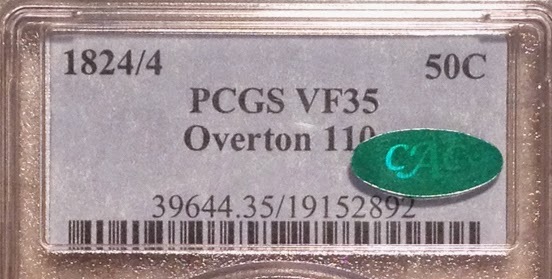 Here's my problem: carbon spots can show up later, long after the coin is sealed away. So can "unattractive toning" and fingerprints. So we might have a slab festooned with all of these stickers and fifty years later it could be an absolute dog. "Trust me, it's nice" says it all, I think.